Junko came to the US from Tokyo, Japan in 1988 and earned an MBA degree from Georgia Institute of Technology in 1990. In her first position as a trader at Fuji Bank (today known as Mizuho Financial Group), she managed foreign currency trading, hedging strategies and economic forecasting, eventually rising to the level of Vice President. It was this experience that inspired her to leave the large corporation to become a financial advisor, helping men and women in the Atlanta community. 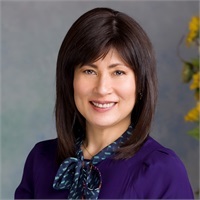 Junko is a Certified Financial PlannerTM with over 16 years of experience, helping successful men and women to achieve their financial dreams and goals. She is a multiple year recipient of the Five Star Advisors award which is given to the top 7% of financial advisors in Atlanta. In 2014, she received the Women’s Choice Award by the WIFE organization as one of the TOP 100 Financial Advisors in the U.S. She has been featured in medias such as Forbes, WSJ, Atlanta Magazine, and Global Atlanta. Junko is an active member in the greater Atlanta community and engages in a number of social and charitable undertakings. Junko currently serves on the Grady Health System Board; however, she prefers helping people through her grass root activities such as writing letters to sick people and visiting them. Her goal is to improve her singing skills and provide a charity concert in the near future. She is a past Treasurer at the Torah Day School of Atlanta and a former Secretary of the Midtown Rotary Club. She belongs to Metro Atlanta Chamber, Japan American Society of Georgia, and Philanthropic Advisor Leadership Institute. Junko and her husband Stephen have two daughters, Yael and Adina.